Daniel Hackett will continue his career with CSKA Moscow. 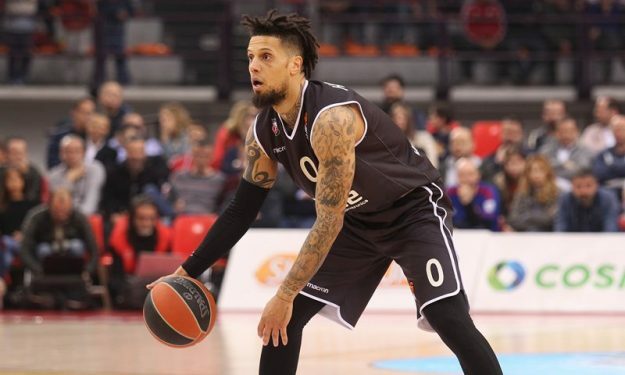 Daniel Hackett has reached an agreement on a two-year deal with CSKA Moscow according to Eurohoops sources. The Italian guard is currently under a two-year contract he signed in 2017 with Brose Bamberg but there’s a EuroLeague buyout clause of €175.000 which CSKA will pay in order to acquire the player. Thus Hackett, 30, will continue competing in EuroLeague where he has played for the past seven years of his career. During the previous season, Hackett posted 9.6 points, 3.4 assists and 2.7 rebounds over 24 minutes per game in 26 EuroLeague matches. In the German League, he averaged 10.3 points, 4.4 assists, and 4 rebounds in 26:27 minutes per game. In Moscow, Hackett will reunite with former Olympiacos teammate Othello Hunter. They both won the Greek League in 2016 with the Reds.